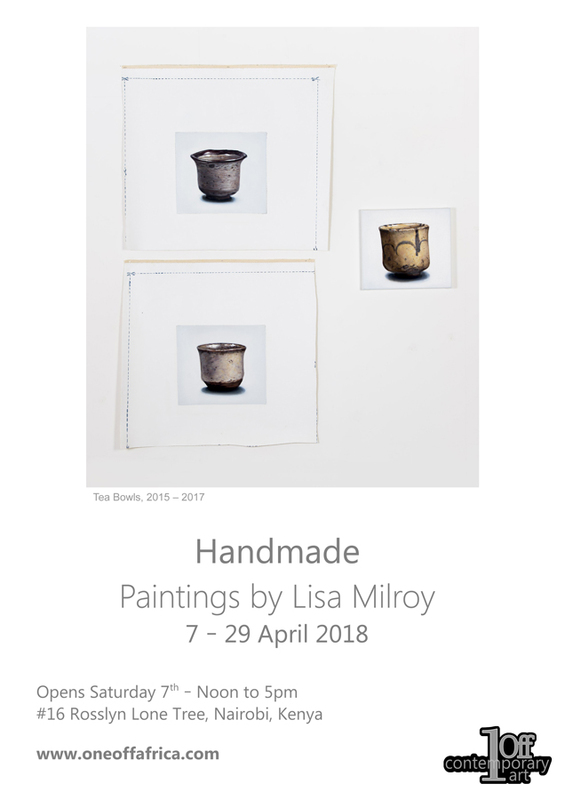 Handmade: Paintings by Lisa Milroy is showing at Oneoff Contemporary, #16 Rosslyn Lone Tree, Nairobi, Kenya, from 7 - 29 April 2018. See www.oneoffafrica.com. 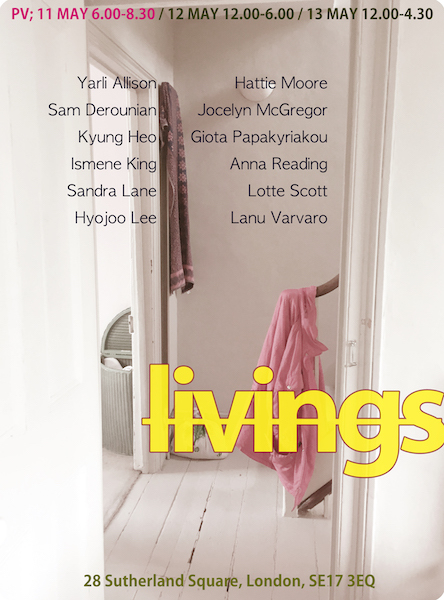 Yarli Alison, Sam Derounian, Kyung Heo, Ismene King, Sandra Lane, Hyojoo Lee, Hattie Moore, Jocelyn McGregor, Giota Papakyriakou, Anna Reading, Lotte Scott and Lanu Vavaro are showing in Livings at 28 Sutherland Square, London SE17 3EQ, from 12 May, 12noon - 6pm, and 13 May 2018 (12noon - 4.30pm). Sara Naim: Reactions is showing at Parafin, 18 Woodstock Street, London W1C 2AL, from 11 April - 19 May 2018. See www.parafin.co.uk. Happy International Colour Day & World Poetry Day! 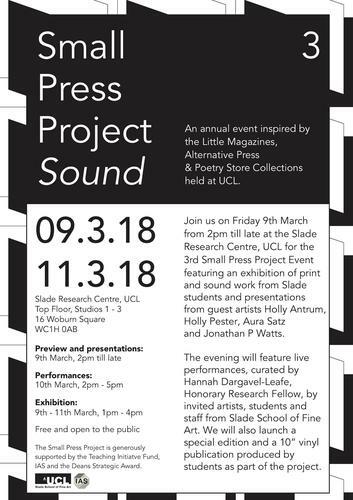 To celebrate, here is a poem by Sharon Morris, which we included in the 2017 Slade Material Museum exhibition ‘Blue From Iron’ by Scientist in Residence David Dobson. 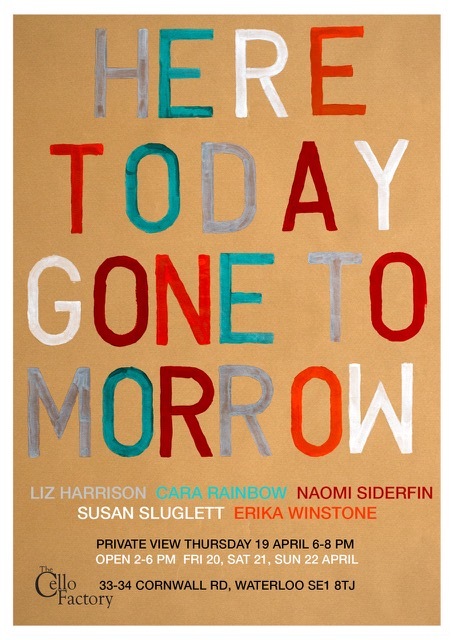 Naomi Siderfin and Erika Winstone are showing in Here Today, Gone Tomorrow, curated by Erika Winstone, at The Cello Factory, 33 - 34 Cornwall Road, London SE1 8TJ, from 2 - 6pm, 19 - 22 April 2018. 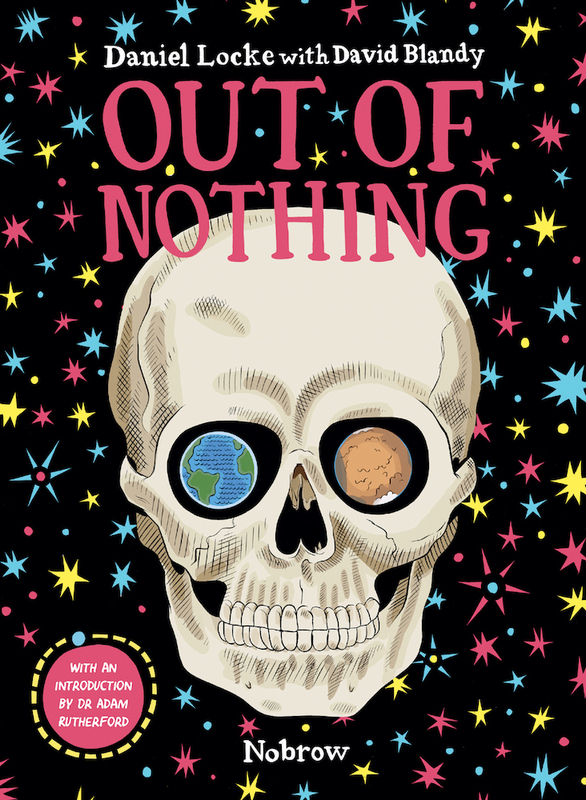 Out of Nothing, a graphic novel by Daniel Locke with Slade alumnus David Blandy is published by Nobrow, ISBN: 9781910620281. See nobrow.net/shop/out-of-nothing. 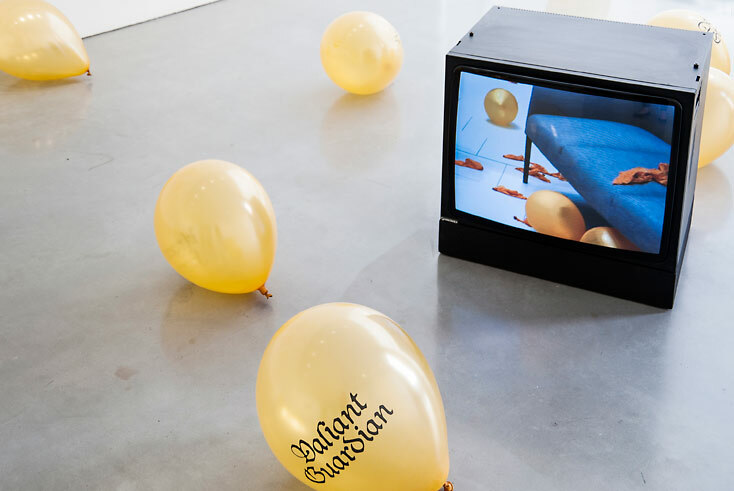 Megan Broadmeadow is showing Seek-Pray-Advance, Episode 1: Eyes Only at CGP London, Gallery by the Pool, 1 Park Approach, Southwark Park, London SE16 2UA, 21 March - 29 April 2018. See cgplondon.org/eyes-only-episode-1. 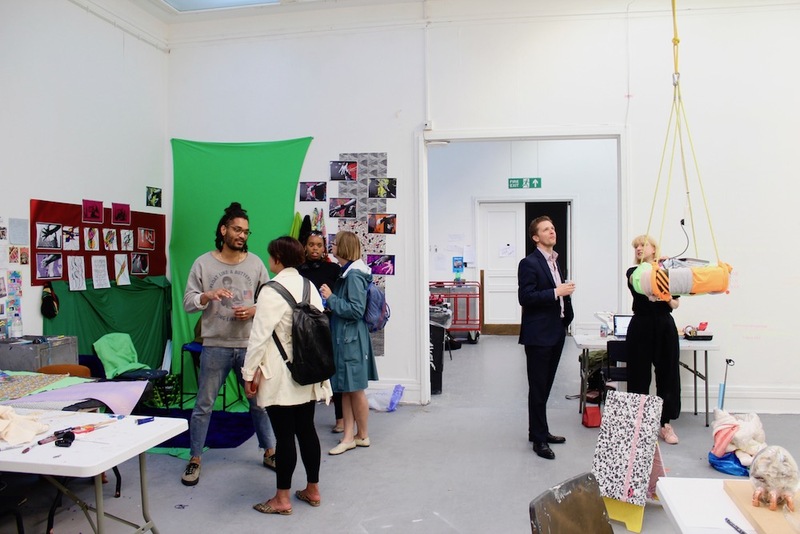 Congratulations to Rodrigo Arteaga, Charlie Barlow, Ellie MacGarry and Feiyi Wen who have been awarded artist-in-residencies at Hong Kong Baptist University. See kaitak.hkbu.edu.hk. 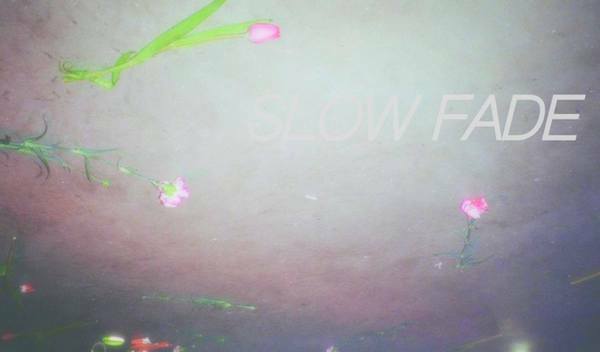 Kim Harvey and Minyoung Choi have been shortlisted for the Gilchrist-Fisher Award 2018. The exhibition of shortlisted artists is showing at Rebecca Hossack Gallery, 2A Conway Street, London W1T 6BA, from 16 - 25 March 2018. The winner will be announced on 15 March. 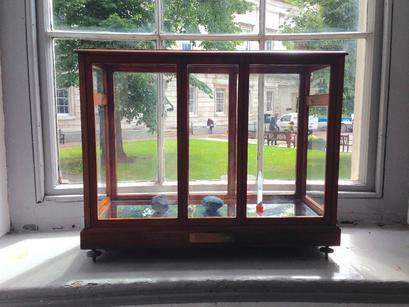 See www.gilchristfisheraward.co.uk. Kasia Garapich and Poppy Whatmore are showing in Near Thing at APT Gallery, 6 Creekside, London SE8 4SA, from 12 - 15 April 2018. 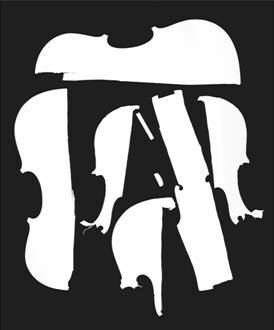 See www.aptstudios.org. Sinta Tantra is showing in Group Show: Indonesian Artists at the IMF Bank Washington D.C., April 2018. 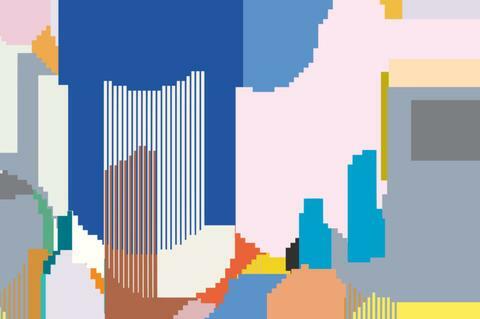 See nowjakarta.co.id. 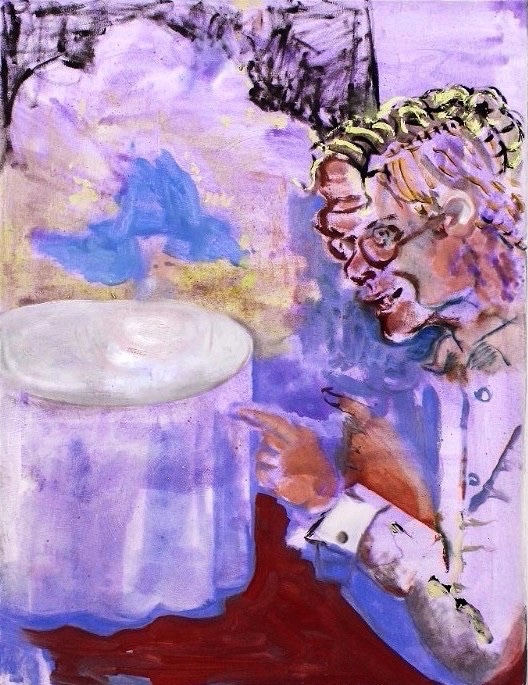 Lilah Fowler has a solo show, nth nature, at Assembly Point, 49 Staffordshire Street, London SE15 5TJ, from 16 March — 21 April 2018. See: assemblypoint.xyz/project/nth-nature. 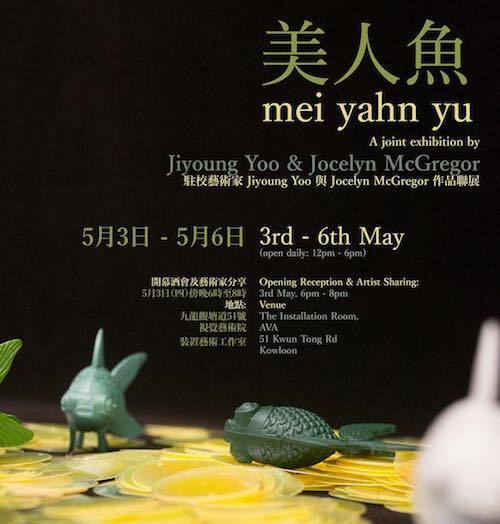 Mei Yahn Yu: A Joint Exhibition by Jiyoung Yoo & Jocelyn McGregor is showing at The Installation Room, AVA, 51 Kwun Tong Road, Kowloon, Hong Kong, from 3 - 6 May 2018. See ava.hkbu.edu.hk. An article about Chila Kumari Burman, Breaking the Stereotype, is published in The Hindu Times, Friday 9 March 2018. See www.thehindu.com/entertainment. 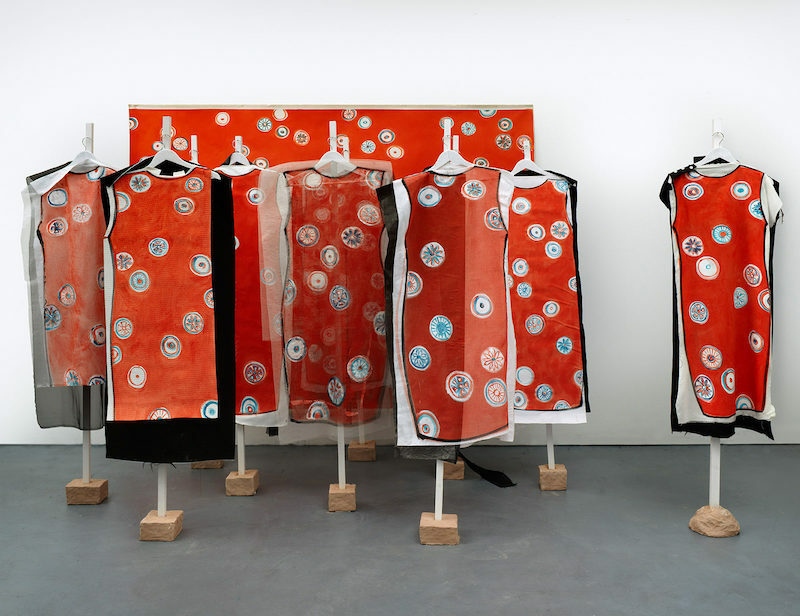 Babette Semmer has a solo show, To Make a Sleep, at Gao, Unit 7, 88 Mile End Road, London, E1 4UN, from 1 March - 7 April 2018. See www.gao.gallery. Eddie Peake, Concrete Pitch is showing at White Cube,144 – 152 Bermondsey Street, London SE1 3TQ, from 7 February - 8 April 2018. 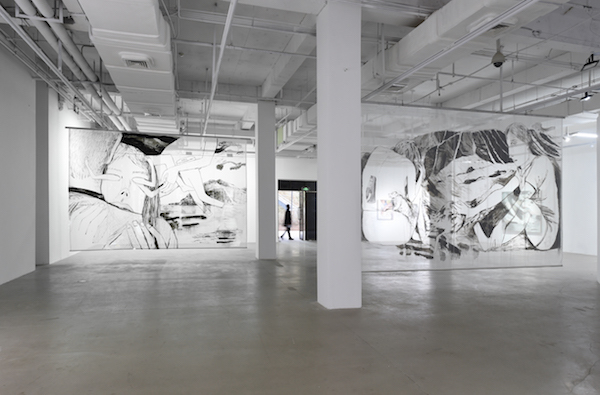 See whitecube.com. 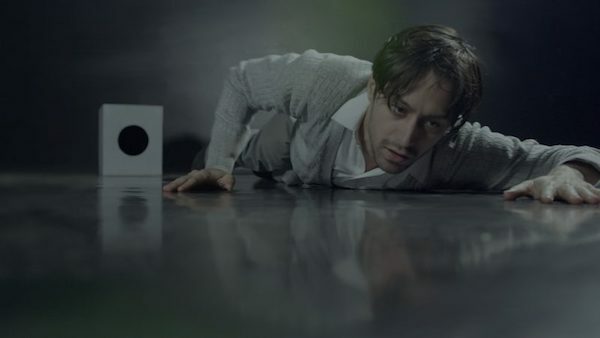 A new film by Martin John Callanan with music by Benedict Drew, Banknote Reconstructed, is available online now on: https://www.youtube.com/watch?v=CUuQ0-Pbh4M, for further information, see: http://greyisgood.eu/fiver. (episode 5 of the day of the triffids) at News of the World, 50 Resolution Way, London SE8 4NT, from 9 February - 30 March 2018. See www.thecentreofattention.org. 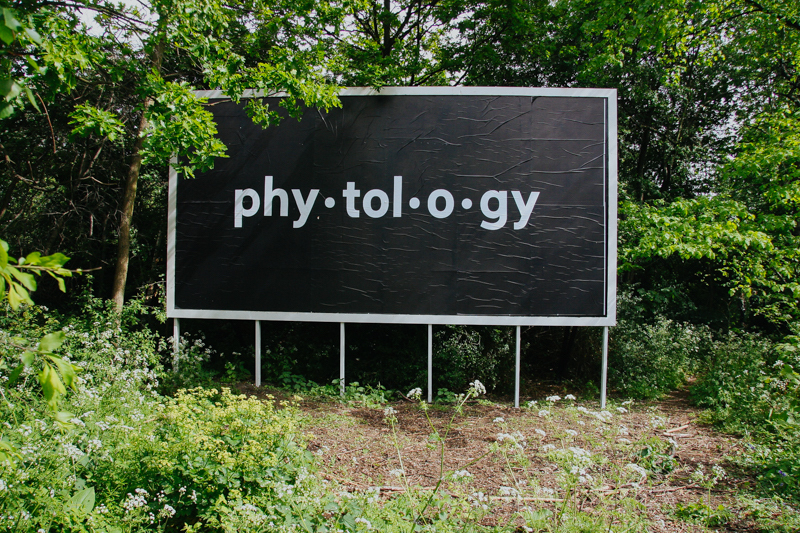 Slade graduate research student Ellie Doney is exhibiting with Phytology at The Land We Live In - The Land We Left Behind, Hauser & Wirth Somerset, Dropping Lane, Bruton BA10 0NL from 20 January - 7 May 2018. See www.hauserwirthsomerset.com. Sarah Lightman is a keynote speaker at British Jewish Contemporary Cultures: An International Conference, at Bangor University, Gwynedd, LL57 2DG, on 26 - 27 March 2018. See bjcc.bangor.ac.uk/conf/about.php.en. Thomson & Craighead have a solo show, The Academy of Saturn, at Cooley Gallery, Reed College, 3203 SE Woodstock Blvd., Portland, Oregon 97202-8199, from 2 February - 26 April 2018. See www.reed.edu/gallery. Here & There: Paintings by Lisa Milroy is showing at Parasol Unit, 14 Wharf Road, London N1 7RW, from 16 January - 18 March 2018. See parasol-unit.org/whats-on/paintings-lisa-milroy. Devlin Shea has a solo show, Third Eye, at Surplus Space, 403 International Art Centre, No.33 Baotong Temple Road, Wuhan China, from 13 January - 26 Feburary 2018. See http://surplusspace.cn.